Late Friday night I saw what may be the future of toys, or at least something completely unique at my local Toys’R’Us. 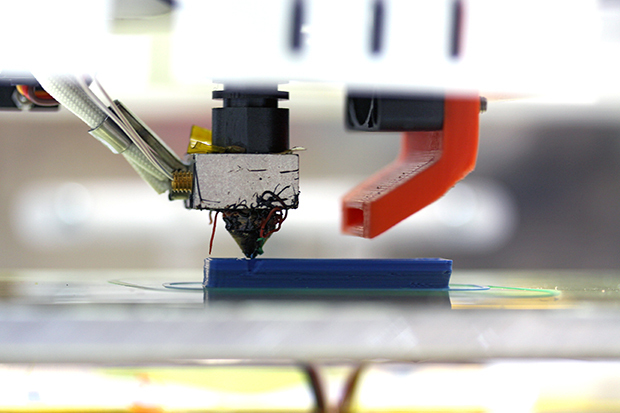 Additive manufacturing, often referred as 3D printing, has become common place in the maker movement. However, there is hardly a day that goes by where I don’t meet someone who has no idea what it is, or what it does. Well that’s about to change thanks to PieceMaker and Toys’R’Us. Our mission at PieceMaker is to empower all people to personalize the world around them. To do this, we have created the PieceMaker Factory, the first and only system to deliver custom 3D printed inventory on-demand to retail stores. The PieceMaker Factory leverages cutting-edge, open-source 3D printing technology, custom robotics automation and proprietary software created specifically for retail to offer shoppers an unlimited range of personalized products, made on-demand and at the point of sale. Even my daughter was impressed to see a 3D printer in a toy store, and she built her own from a kit at the age of nine. 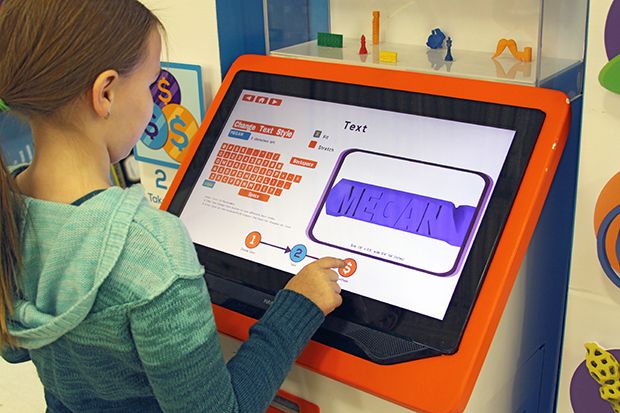 However, once she saw the interactive kiosk where you can select a model, customize it’s color, and add a name, she was totally hooked. Now she wants that kiosk at home, hooked up to her own printer. All the items are designed by PieceMaker so they are guaranteed to print well, and in under 30 minutes. They all cost about $10, which seems to be a fair price for a customized toy that’s printed on demand. The overall process from design to print was really easy and went without any hiccups. While we were waiting for our first print, I was able to ask a few questions about the machine. First and foremost, “Who makes the printer, and what’s inside?” The short answer is, they make the machines themselves in-house, and it’s powered by Arduino. We ended up with the ever-popular whistle, and a slight migraine from the concert played on the car ride home. But more importantly we left with a renewed enthusiasm for designing and making our own stuff. What will we make next? I don’t think it really matters too much. I’m just happy that the notion of making has once again become more important than TV, texting, or just surfing the Internet. If you happen to live near Totowa New Jersey, or Cranberry Township Pennsylvania, stop on by the local Toys’R’Us and check out what may be the future of toys. I’m really looking forward to the day we can pick up an affordable printer at the local toy store, not just the prints. Any thoughts on how long until that happens? What does everyone think of toys-on-demand?